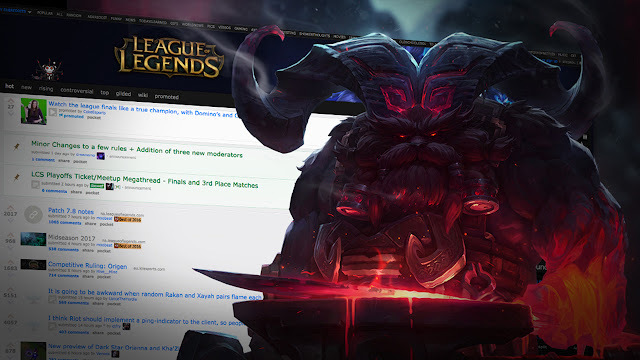 Tonight's red post collection includes a look at the August Bundles, a champion insights article on Ornn, a new Runes Corner, an Ask Riot on Riven balance, Runeterran languages, and more! 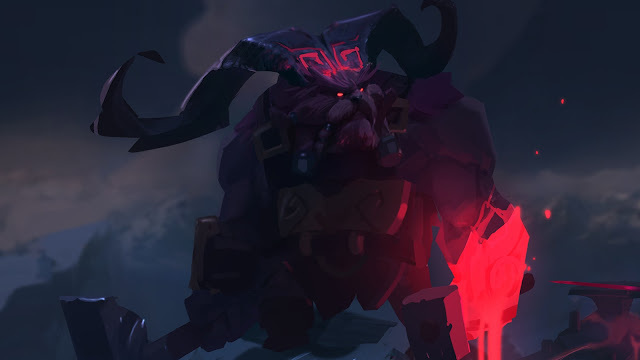 BONUS BUGFIX This also solves an issue where the mini-shop UI told Ornn to buy things way too expensive for him to afford." "Grab these limited-time bundles now through 8/31/17 at 23:59 PT. “This is not wholly terrible. My hammer is better.”"
"THE AMA HAS OFFICIALLY ENDED (as of 1:00pm PST). As always, a few Rioters will stick around as time allows. Thanks, everyone! Yo, it's your old buddy League of Legends again. Let's do an AMA about Ornn. When? Right here, from 11:00am PST to 1:00pm PST. 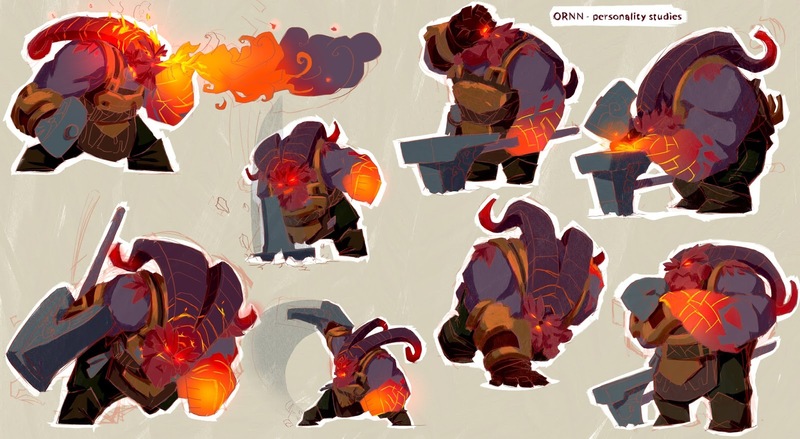 Below is a list of Rioters who worked on Ornn. They're here today! Ask 'em stuff. "Hey all! Stashu here, and welcome to another Runes Corner. I have a double feature of keystones for you this week, and from our most unique path: Inspiration. Be warned, this reveal is not for the faint of heart, these are some spicy keystones and I cannot be more excited to finally be able to talk about them. You start with 1 Summoner Shard and gain an additional Summoner Shard each time you cast a Summoner Spell. Swap a Summoner Spell to a different one by exchanging 3 Summoner Shards at the shop. Additionally, gain 15% Summoner Spell cooldown reduction. That’s right, you can now change summoner spells during the game. Ever wanted to take ignite as a jungler without giving up flash? How about taking exhaust/ignite to win lane, knowing you’ll need teleport later? Well, this one’s for you. I doubt we’ve even got past the tip of the iceberg in our explorations of how to use this thing, so I can’t wait to see what ya’ll can do with it. Worth noting, there are still lots of questions to answer here, like what cooldown is the swapped-to spell on? (Currently it inherits the remaining cooldown of the swapped spell.) How exactly does this interact with smite? Is the shop the right place for this? Is this sufficient power to compete with other keystones, or does it need other bonuses attached to casting summoner spells? Etc. But we’re confident that we can answer these in the coming weeks and deliver something new, crazy, and, importantly, balanceable. 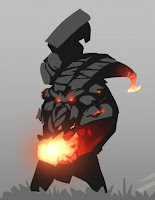 Your first attack on a champion slows them for 1.5 seconds (8-3 second per-unit cooldown). Additionally, your active item slows create an icy zone around their target for 5 seconds, slowing all units inside by 70%. Alright, alright, so this one’s a little more tame than swapping summoner spells, that’s fair. But even so, this is the first time we’ve ever offered this sort of power in the pre-game, and that’s pretty big. Now, every champion has the choice to opt out of damage or durability to add this new tool to their arsenal; and with the new power level of other keystones, that’s a LOT of damage/durability lost in this opportunity cost. Can you make that tradeoff worth it by clever use of the Freezeray, adding new synergies to your favorite kits and combos? Here’s Teemo using the passive as well as the active with both Bilgewater Cutlass and Hextech-GLP. Note that AoE slow actives create slightly smaller zones. And that concludes this reveal, thanks for reading! Please join us in the comments for Q&A, and while you’re there, we’d love to hear what you all would like out of a third Inspiration keystone -- now that you have a feel for what we’re working on in Inspiration, what creative and out-there tools have you always wanted but never had a place for? Keep in mind that inspiration does not offer direct damage or tankiness, or at least without extreme tradeoffs. We’re still trying out a whole bunch of ideas there, so now’s your chance to have your voice heard! I’m very excited to hear what you come up with, so, hope to see you in the comments! I see that there is an entirely new alchemy tab in the store in that Bard gif. Are there going to be other masteries besides summoner specialist that utilize this tab? Unlikely! Trying to reduce complexity and keep the 'rules breaking' component of each rune that does it special for that rune, but that said, it's always a possibility and if it makes the most sense to do, then we'll do it." "Tiny bit more context - we were trying an Alchemy tab for a previous keystone. That didn't work out, we ended up reusing the UI from it as a way to prototype Summoner Specialist though." Hey Stash these are some super dope Runes, can I ask how you feel these fit into the Inspiration path and what that path is all about. And on a side note, hear me out, you guys should rap about Runes Corner Thoughts? Audience: Intended to be player type/preference bound rather than function/class bound. This player type is interested in indirect power because it lets them express mastery in novel/unique ways. Note: Nothing in here directly deals damage or grants you damage dealing power. There may be indirect contributions to DPS, like CDR, but nothing direct." The problem you're trying to solve here is a real one. Unfortunately, I don't think a rune is the best place to solve it. Ward slot restriction is a systemic pain that should be solved globally for all champions, rather than on an opt-in basis through a rune." Am I the only person that doesn't like this change at all? Definitely not! Every change we've ever made to the game has met with at least some negative reception, even internally. But please believe me when I say we really, really don't want to intentionally make things that you dislike, we sincerely want you to enjoy the game that we put tons of hard work into. However, there will always be things about League that can be improved, and the answer should not be "don't change that, some people will dislike it!" to everything because then nothing would ever get done. This is not to marginalize you and others who dislike these changes -- I am really, really sorry that you don't like these changes. 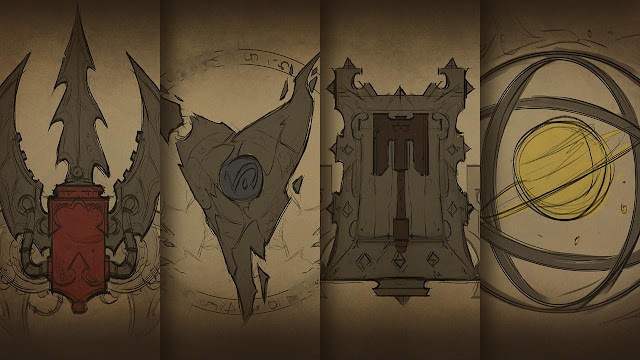 We strongly believe that Runes Reforged is moving League towards a better future in the long term, and are eagerly awaiting preseason to see how we did. Truthfully, we've been wrong about such things before (Dynamic Queue), and we will do our best to recognize those situations and revert if its clear we went astray." Let’s talk pro play, Riven, and Runeterra’s languages. 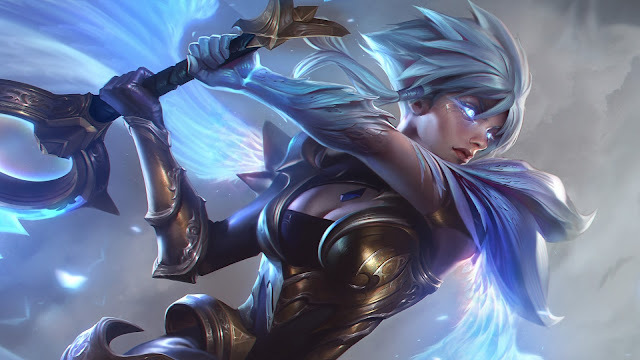 We’ve seen a lot of questions answered about Yasuo, but what about Riven? 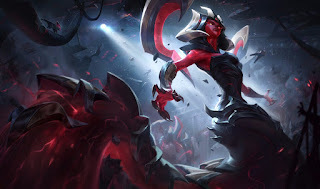 Does the balance team feel like she’s overpowered? We don’t think Riven is overpowered, though she has a lot of features that can make her feel hard to deal with. Riven is a champion with high execution requirements. She has a steep mastery curve (in the top 15% of champions), but is heavily one-tricked, which leads to both inflated win rate numbers and distorts the winrate curve pretty heavily (when a Riven player has to play something else because of bans or an opponent picking their champion, they are more likely to lose than the average player, which depresses their MMR). Additionally, her kit, at a structural level, has a lot of tools that help her succeed — in particular having a lot of mobility to both pick fights and escape. This, coupled with defensive capabilities that scale with offense (her E and lifesteal through Death’s Dance), leads to her high snowball potential and ability to capitalize on the scrappy nature of Solo Queue. All this stuff combined can lead to Riven feeling “unstoppable” when she’s succeeding. However, players aren’t necessarily translating the tools she has to succeed in tactical engagements into actual game wins at an unusual rate. How do you create the different languages of Runeterra? This actually came up really recently on ‘The Path to Hearth-Home’ folk song teaser for new champ Ornn. The lyrics were originally in English (as they usually would be for a Riot-produced song track) but we get a lot of feedback from players around the world that this feels like it favors NA over all other regions… so we decided to try something different, and have them sung in ancient Freljordian instead! If we assume the people of the Freljord now speak some modern Runeterran language, this had to feel like a much older root of it, probably one that’s not been widely spoken for centuries or longer (like Latin, Old English or Old Aramaic in the real world). Writer Matt Dunn and composer Kole Hicks worked on getting the tone of the song just right, with lots of imagery that ties into Ornn’s lore. We then sat down and discussed what kind of sound we wanted from the language — like when we name champions too, I guess? The word Freljord roughly translates as “frozen ground” in some Nordic dialects, so that was an obvious starting point. We worked in speech patterns and vowel sounds from Danish, Norwegian, Swedish, even a bit of German. It’s turned out nothing really like any of those, and yet all of them at the same time. 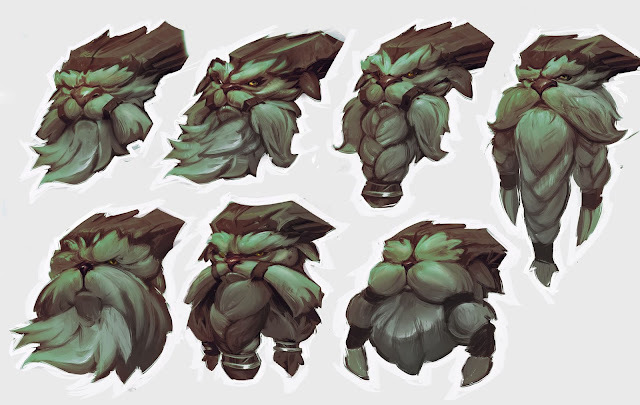 Language and lore are a major part of what gives the champions and Runeterra a unique style and feel. It’s a great shorthand way of tying new lore to things we already recognise, and I’d love to explore this a lot more with the writers in future. The responses I’ve seen from players so far has been amazing! There are even a few cover versions already, with some very talented singers trying it in their own languages — yes, including English! Why do pros play on an earlier patch instead of the most current one? In a single patch, one champion might go from not having seen play in multiple splits to an unstoppable killing machine that is contested every single game (looking at a certain Terror of the Void…). Even changes that are very small could flip the meta upside down. To account for this we use a previous patch in competitive to give pros more time to adapt to meta changes. The extra week after the patch goes live gives pro teams the opportunity to evaluate the patch and adapt their strategies and playstyles accordingly before they have to compete. The current patch cadence provides teams with about 10 days to practice on a live patch before having to play a professional game on it. In the situations where something is significantly over-tuned or bugged, waiting a week gives us the chance to hotfix these outliers before they can have a negative impact on the league. Making pros play on the live patch would mean they would have to invest a significant amount of time into the PBE to prepare for these changes. We want pros to be rewarded for their preparation, and making them practice with some features in the PBE that might not even make it onto live feels bad (man). Pros have enough to worry about outside of queue practice (scrims, strategy, VOD review, etc. ), so giving them some extra time to prepare for the latest patch hopefully makes staying competitive for them a bit more manageable. "Hi there! 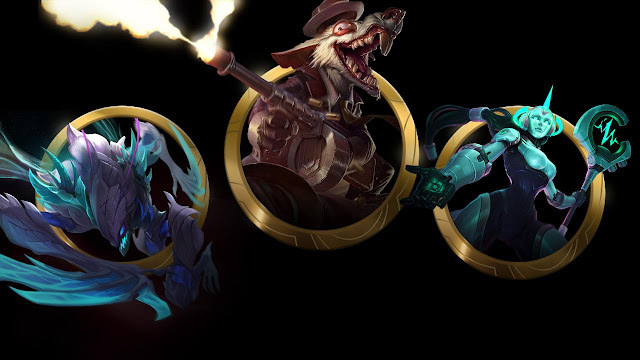 I spoke briefly in the State of Skins - and want to reiterate, that while the quantity of higher quality (and by extension, higher priced) skins may have gone up, our focus in the past few years has been on making skins that are most successful at capturing the rich alt-fantasy that we’re going after. When we kick off a skin, we’re thinking, “What’s the most awesome thing we can make for players.” That feels significantly better than, “Hey, let’s make something less awesome so we can charge 750RP for it.” This has lead us to invest our time in higher-tier skins. But at the same time we’re constantly looking for ways to get you the skins you want at a price that’s right for you with features and promotions like Crafting, Your Shop, and our recurring sales cadence. We’re going to be sharing more information on this in the near future and hosting an AMA - so keep an eye out for this soon." "Updating lore in bundles means that we have to find links and themes, and everything gets packaged together. This actually makes it a much more complicated process, which engages our writers, editors and artists for a long time. Doing standalone updates more often would be my preference. A champion here, another champion there. Ironically, we can get Rioters assigned more easily if we don't do campaigns with a single release window for multiple pieces of content."